I like this book very much and it has a great deal to commend it, especially to someone who wants to make their photographs stand out from the crowd. The techniques and their discussion are quite advanced and definitely assume a good working knowledge of Photoshop. If you can get past this it is a great book. There are concepts explained in this book that I haven’t come across elsewhere and which I integrate into my own work. 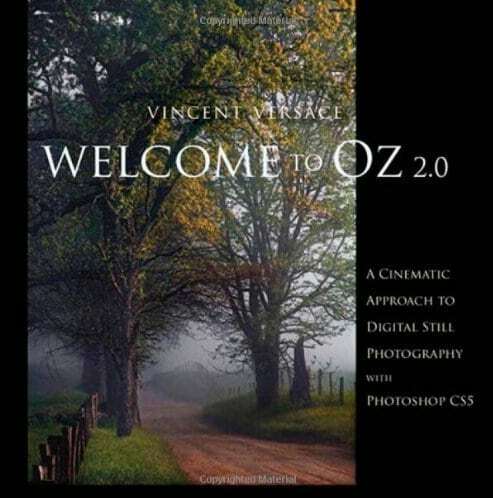 The above book has now been republished as Welcome to Oz 2 and is much improved on the first book. Whilst there is a lot of the material still there from the first book there are over 100 pages of additional information and substantial updates to the other text. If you have read both books you can really see how the authors approach to his work has developed. If you are not familiar with the photography of Vincent Versace I would recommend a visit to his web site. Fabulous work.